Chia seed pudding is the new shinning food for the health conscious people. Chia seed is high on fiber and works great as a post workout breakfast or a snack. This ancient grain is now locally grown in some parts of Karnataka which works out cheaper than the imported ones. Read here about the nutritional benefits of chia seeds. The overnight chia seed pudding is so easy to make that it requires less than five minutes to assemble. 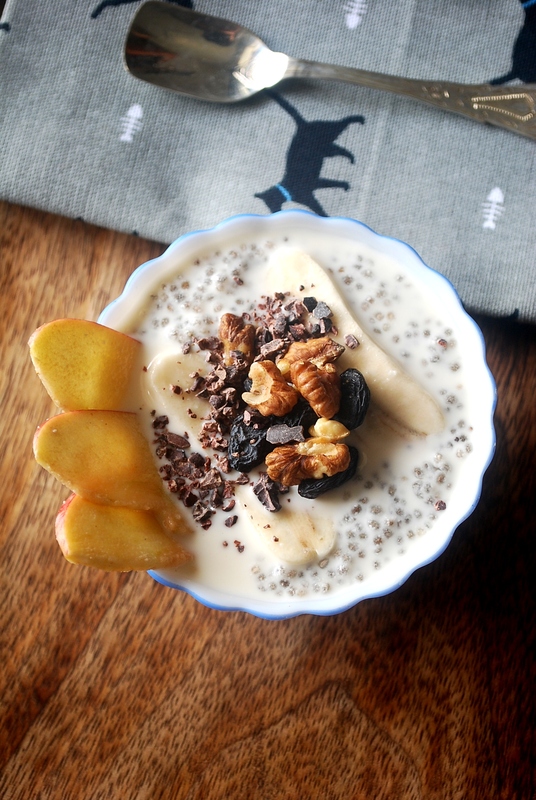 I like to make my chia pudding with almond milk, sweetened with honey or coconut sugar. 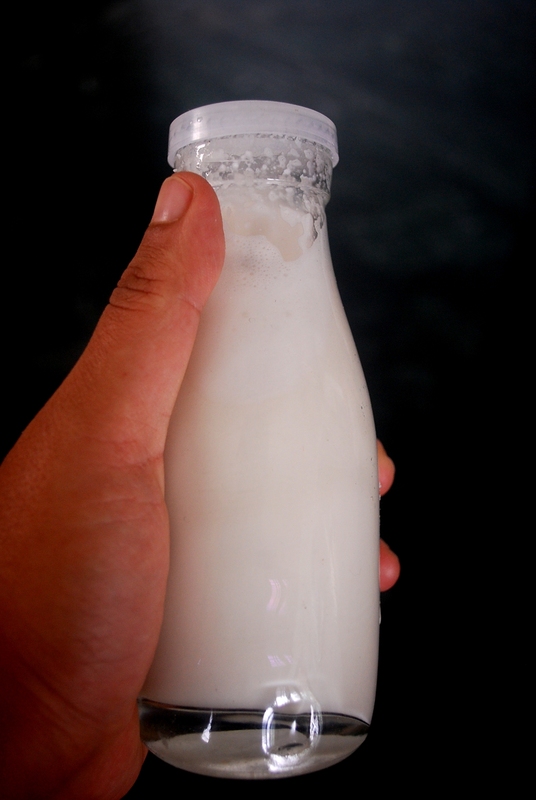 Homemade almond milk can be made before hand and refrigerated for 4-5 days. In the morning, I just season my pudding with i2cook’s peanut butter, cacao niba, nuts like walnuts, sunflower seeds and fruits. 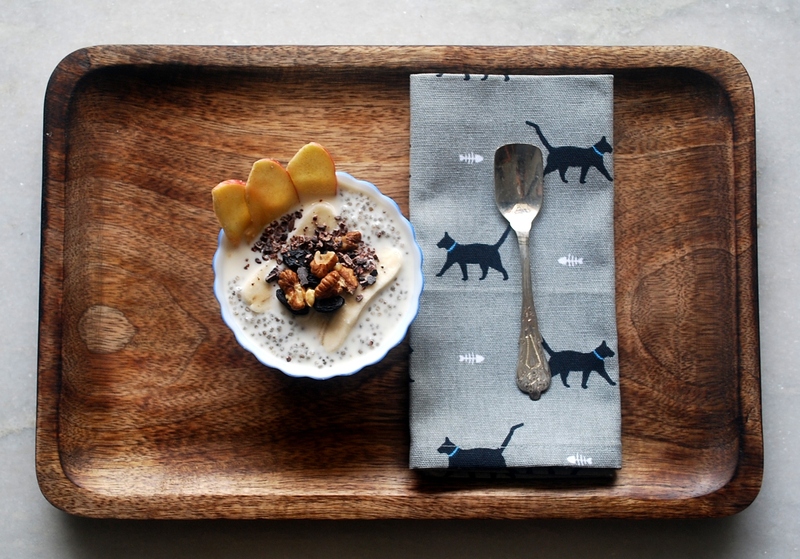 You can also soak chia seeds overnight in PB banana smoothie for some extra flavour and energy! Measure and mix all the ingredients in a glass jar. Refrigerate for min 3-4 hours or overnight. Eat chilled with your favorite topping.